Supplier & Trader of Humidifiers - Servo and Non Servo Mode of Delivery. Our product range also comprises of Emergency Ventilators, Pressure Monitoring Lines and Medical Instrument Rental Services. so as to maintain higher standards of quality and eliminate defects, if any. 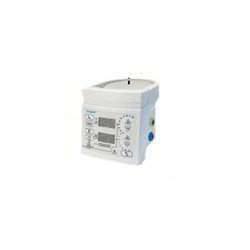 Looking for Humidifier - Servo and Non Servo Mode of Delivery ?